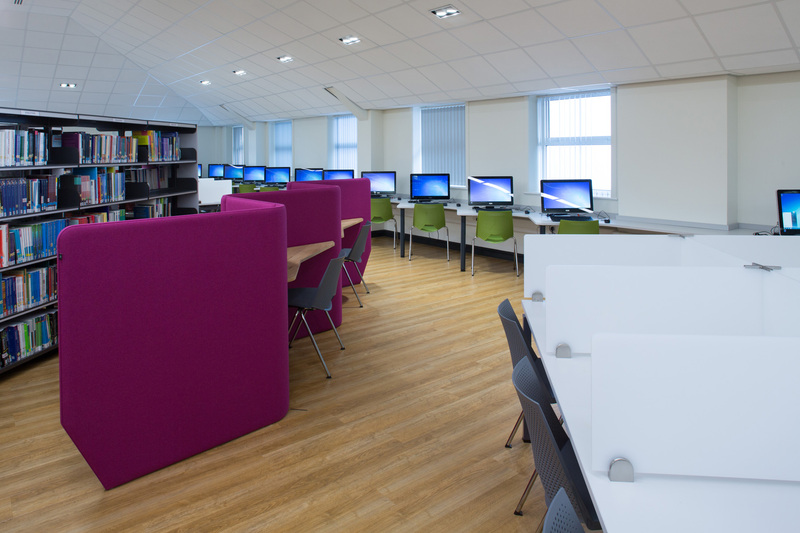 New academic library and study space promotes university-style learning at Holy Cross College. 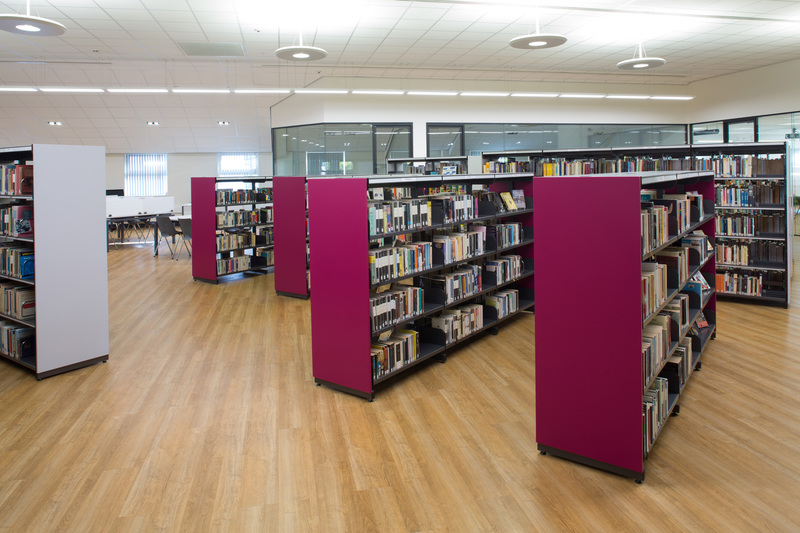 Demco Interiors UK completed the original library installation at Holy Cross College in 1999. So when it was time for the college to design a new, “double in size” library and study space, they sought the expertise of the Demco Interiors UK group again. 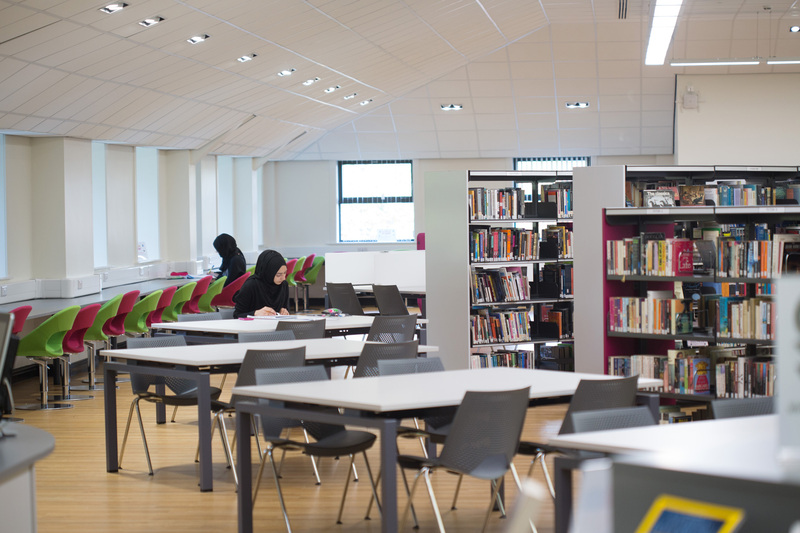 The team worked with the college on feasibility and space planning, and the outcome is a stunning space that provides something for everyone. A variety of modern study carrels offer students ample space for independent study. 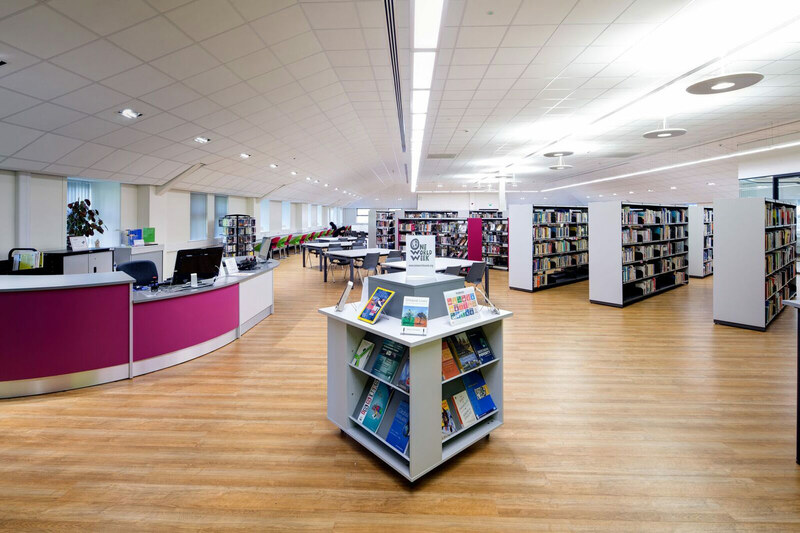 The objective was to create a library space which combined modern styling while retaining the traditional requirements of a university-style library. 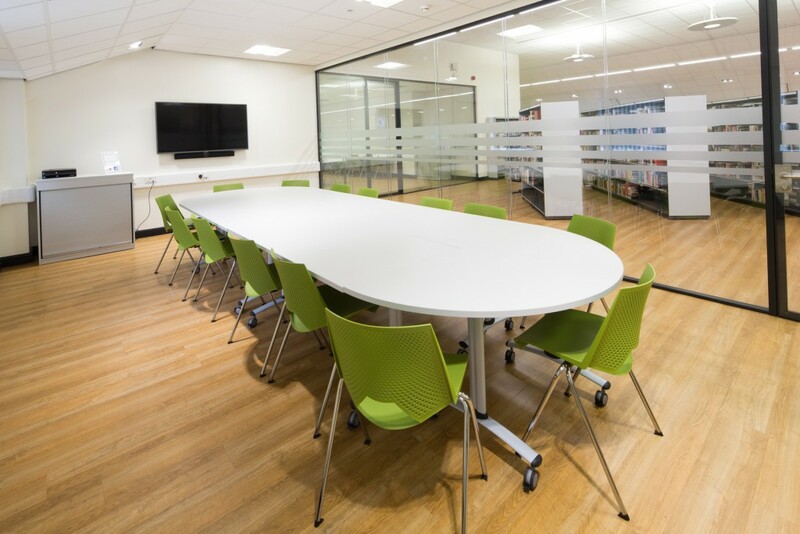 The space was designed to not only encourage students to work independently in a quiet environment, but also keep a level of group study for collaborative learning. Giving students the opportunity to use their own personal devices was also a priority. 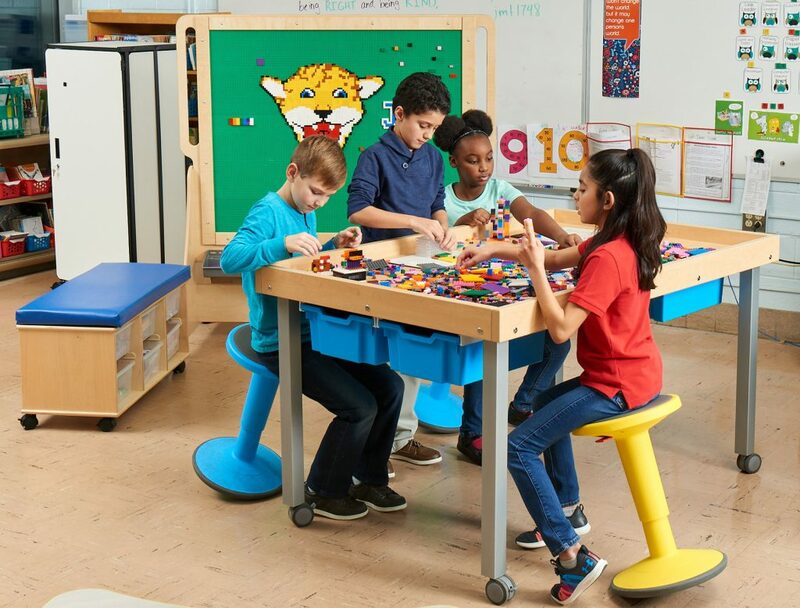 Combining form and function, saw-tooth IT positions, large tables with acrylic divider panels and colorful panel workspaces provide an assortment of options for independent study and locations to use personal devices. 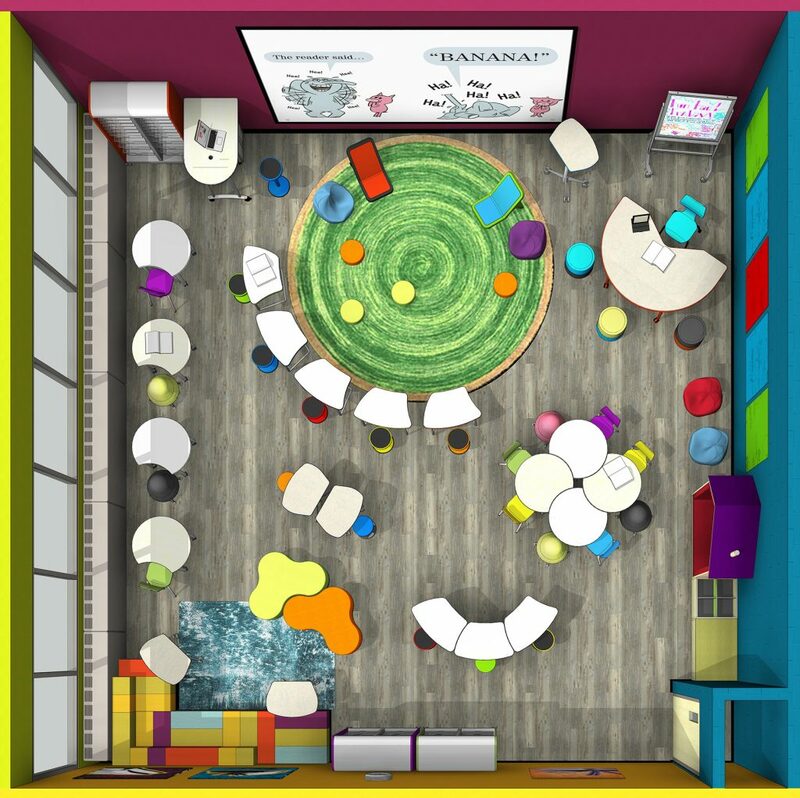 Set away from the individual study carrels and separated by shelving, larger study tables provide places for students to work together in groups. Also, several study rooms behind glass walls provide privacy for larger groups while maintaining an open feel. An area of larger study tables and several study rooms provide places to accommodate collaborative work. A combination of upcycled shelving from the original library and new stacks with bright end panels house the book collection. The plan involved upcycling some of the original shelving with the addition of a few extra shelving runs fitted with berry-colored end panels to bring the look together. Taking the time to inventory and store the original shelving at the beginning of the project provided more financial resources to purchase other furniture for the new space. 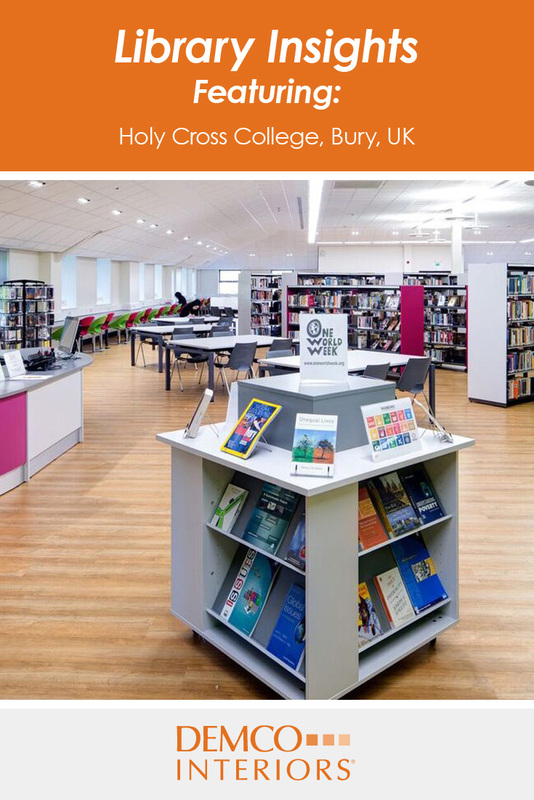 A walk through the Holy Cross Library in the UK illustrates that, regardless of their geography, academic libraries’ primary focus in design is to find a balance of quiet individual study spaces for independent learners and collaborative work spaces for group study.